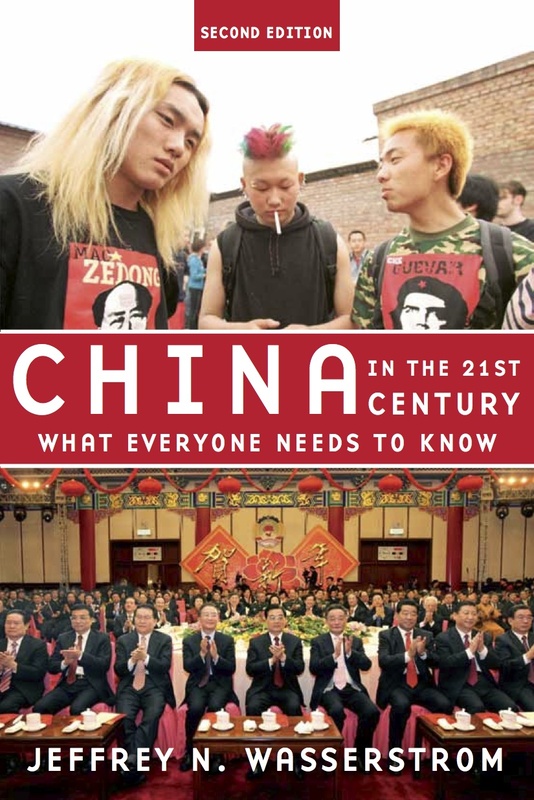 Back in the fall of 2011, Jeff Wasserstrom (with whom I’ve co-written several articles, and who’s also my dissertation advisor) asked me if I’d like to be a contributing author on the second edition of a book he’d published in 2010, China in the 21st Century: What Everyone Needs to Know. Part of an Oxford University Press series that offers brief introductions to newsworthy topics, CI21C is aimed at readers traveling to China for the first time who want a quick overview of the country’s history and current events. It’s also been used in a lot of college courses. The book, like all in the What Everyone Needs to Know Oxford series, is written in a question-and-answer format that highlights important people, events, and issues. Jeff and I worked on revising the manuscript for most of last summer and fall, cutting some of the questions from the first edition and adding new ones in their place, as well as updating statistics and other material to reflect the changes of the last few years. Even if you’ve read the first edition of CI21C, there’s plenty of new material in the second edition to make it worth picking up. We discuss Nobel Peace Prize laureate Liu Xiaobo, fallen politician Bo Xilai, the importance of the Arab Spring in China, and the November 2012 leadership transition that brought Xi Jinping into power. The new edition will be released in June this year and is now available for pre-order on Amazon. If you’d like a sample of what’s in the book, listen to this recent Reader’s Corner radio interview with Jeff, in which he talks about some of the major issues—censorship, protest, economic growth and inequality—that have defined China in the 21st century so far. Next Next post: Is It Ethical to Travel to North Korea?